Couples AglowCouples Aglow is a newly developing ministry within Aglow. Please read about it, below. If you are interested in forming a Couple's Aglow with your spouse, please contact the Appalachian Area Team to get started! Couples Aglow can be a neighborhood group or a group that holds outreach meetings in a community. The chief difference in a Community/Neighborhood Lighthouse and a Couples Aglow is that a husband and wife share the duties of a position on the Lighthouse Team. For example, Sarah and her husband, Paul, have attended several Aglow conferences. Both feel called to open their home to other couples for a Bible study. Wanting to come under the covering of the Aglow ministry, Sarah and Paul contact the Area Team, become Covenant Partners and fill out all the necessary paperwork. Both will serve as President of the Lighthouse. Couples Aglow has from one to five couples who serve on the Lighthouse Team. One couple serves as President and the remaining couples serve in Vice-President positions. If there are only two couples serving on the team, one of the couples is responsible to keep financial records. Until there are a minimum of two couples, funds are managed by the Area Team. ~Does the Couples Lighthouse need to present the mandates? Yes, each Lighthouse will present the vision of the ministry in practical ways in their community. The goal of each Lighthouse is always to bring salvation, wholeness, restoration, and a global awareness from a Biblical perspective to their community. I am Phyllis Brown, the Virginia West Central/Southwest Area President. We invite you to attend an Aglow meeting in Bedford, Galax, Lynchburg, Max Meadows or Roanoke. Click HERE for more information about those meetings. Virginia West Central/Southwest Area Aglow is a part of Aglow International, which is a transdenominational organization of Christian women and men with more than 4,000 local groups in more than 170 nations of the world. It is one of the largest international women's organizations with over 1,100 local groups in the U.S. alone. Aglow reaches an estimated 2 million women each month through local groups -- the heart of the organization. The VA West Central/Southwest Area Aglow is part of the Mid-Atlantic Region which covers Virginia, West Virginia, Maryland, Delaware, Washington DC, and North Carolina. 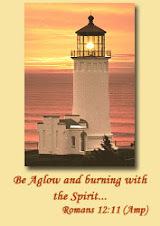 We invite you to come be a part of Aglow!